A striking brown leather biker jacket with a matte finish. 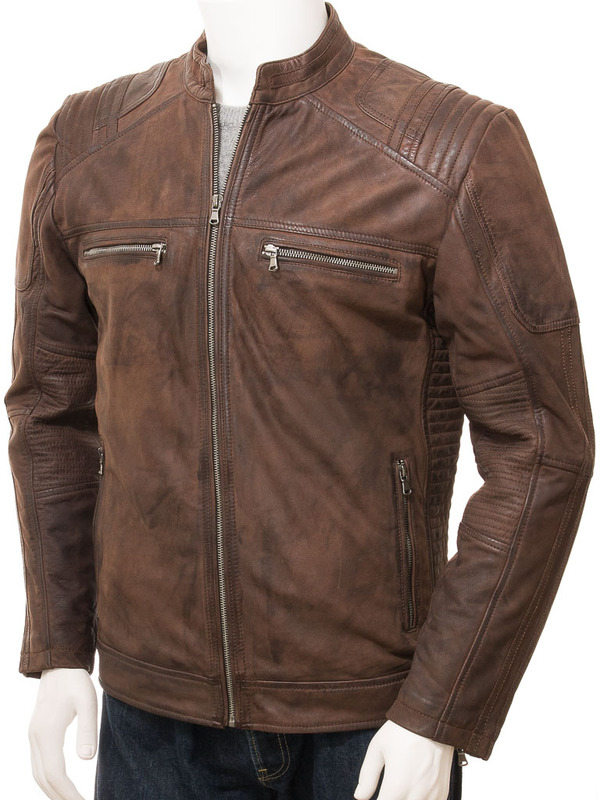 Crafted from sheep aniline leather that has been lightly milled to an aged, matte nubuck finish, this jacket features an exposed YKK zip front that leads up to a short nehru collar. 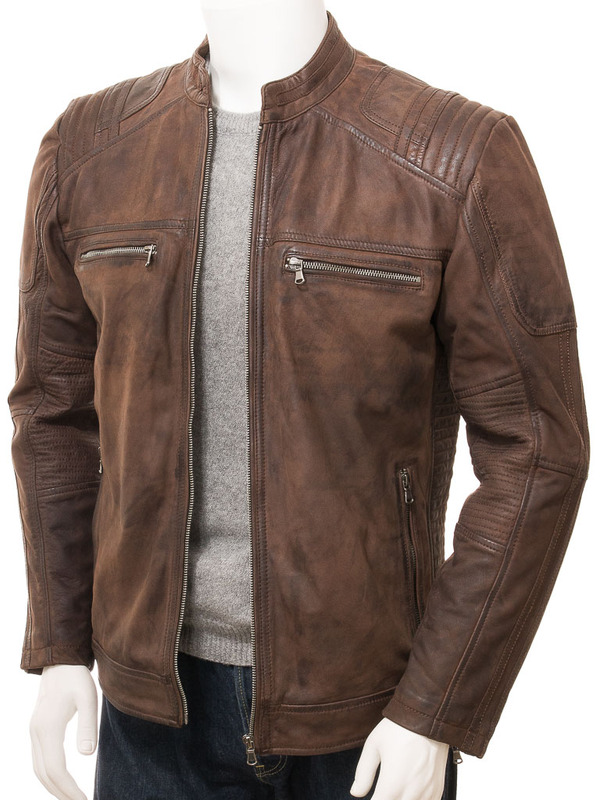 There are four zipped pockets on the body of the jacket plus zipped gauntlet style cuffs, perfect for slipping a thick glove beneath. 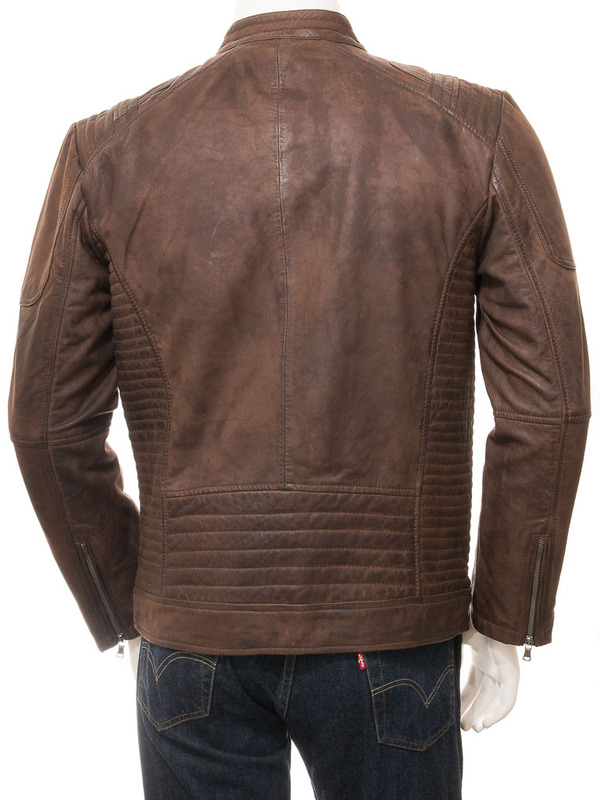 Extra panels on the collar and shoulder plus ribbed stitch quilting on the side panels contrast the vintage patina of the leather for a truly unique design. 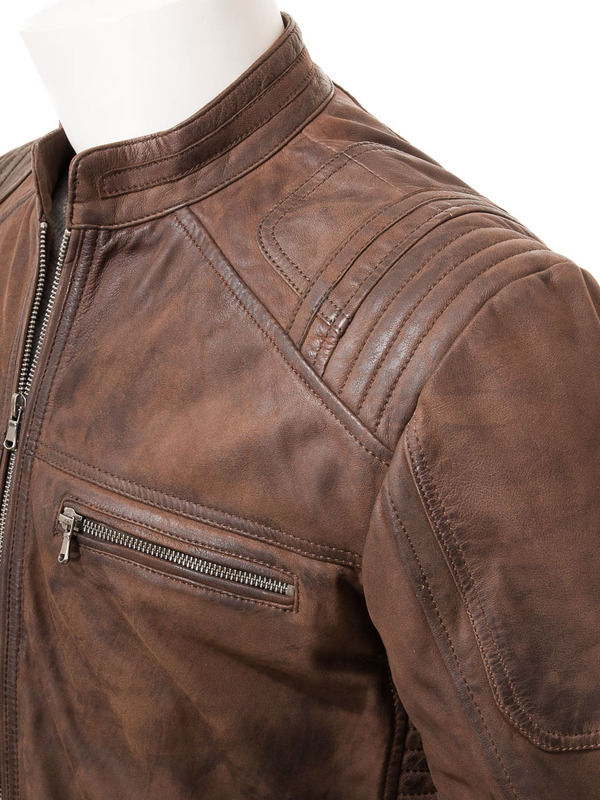 The interior of the jacket is fully lined in poplin and includes two more leather trimmed pockets. 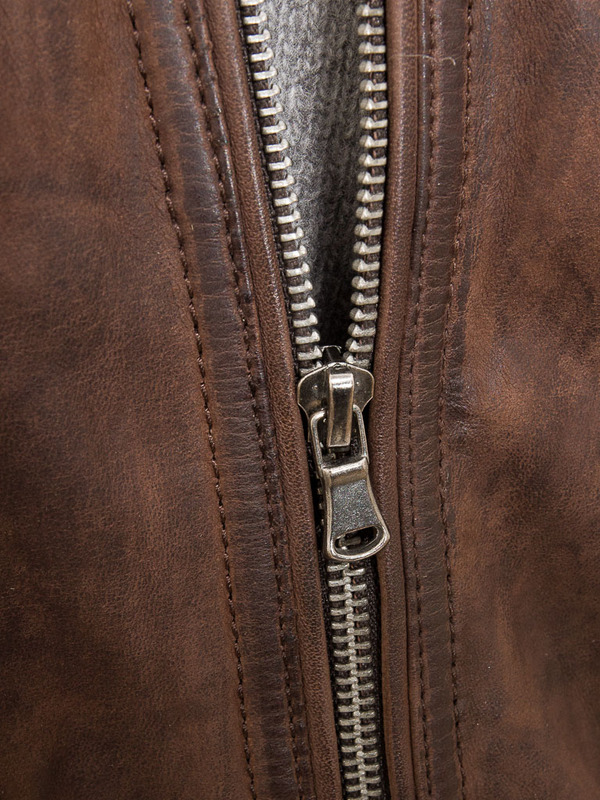 One of these is zipped and the other buttoned for additional security.